Branded mark: Carl Hansen and Son. Odense, Danmark. Circa 1950′s. This chair is no longer in production. 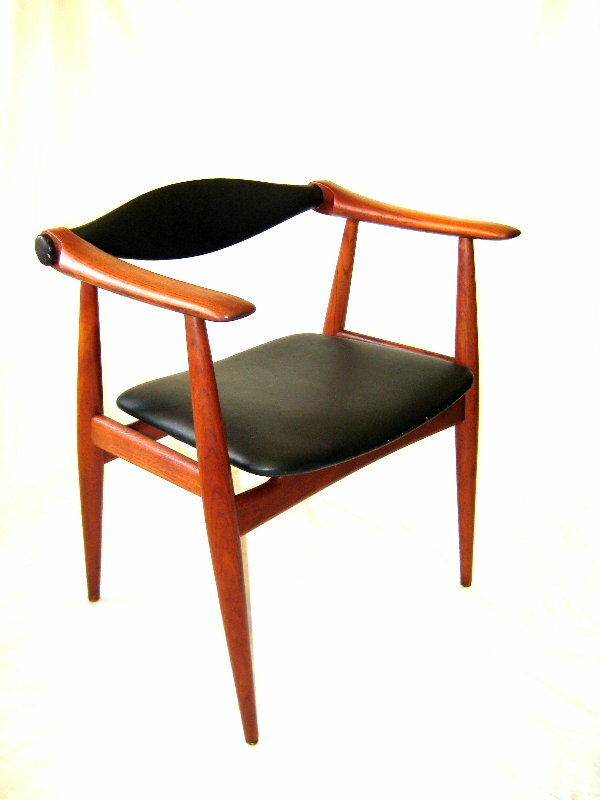 Teak and black leather.